Hailing from the swamplands of Southern Georgia, raised on a heady blend of rock-and-roll and blues and classic country, Beau + Luci mine their rich musical heritage to dream up an extraordinarily timeless sound. 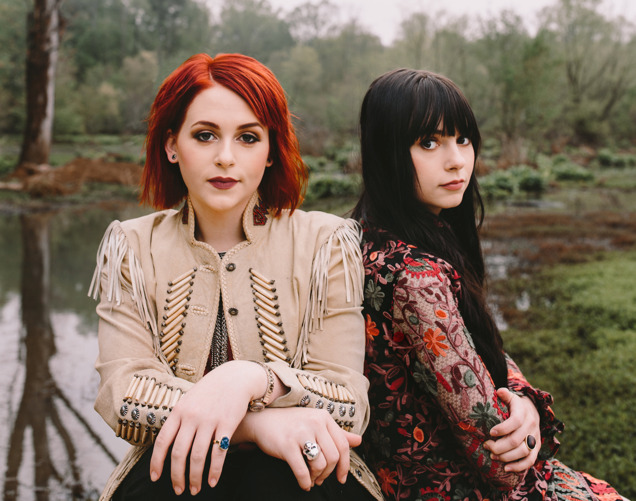 On their debut EP, the two sisters infuse their earthy yet lushly textured folk-rock with naturally immaculate harmonies that never fail to captivate. And in their songwriting, 19-year-old Beau and 21-year-old Luci reveal both a sublime sense of wonder and a graceful sophistication well beyond their years. Produced by Dan Hannon (Manchester Orchestra, Aaron Shust), Beau + Luci’s debut EP finds the duo collaborating with a host of esteemed musicians, including guitarist Scott Sharrard and keyboardist Peter Levin (both members of the Gregg Allman Band) as well as keyboardist Rami Jaffee (best known for his work with Foo Fighters and the Wallflowers). *Á La Carte Promotional Packages available at request.